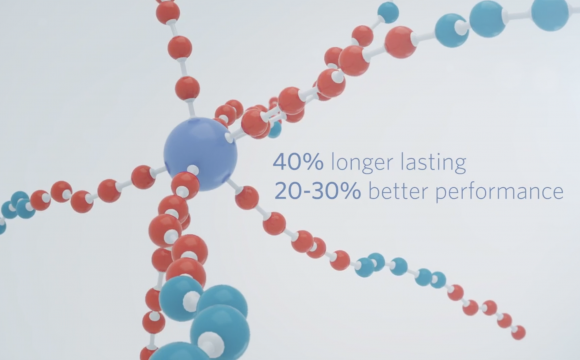 OARS HS, Soil Hydrating Surfactant, is a combination of the university researched, field proven, and patented organic acid redistribution system (OARS) with a multi-branched hydrating chemistry. 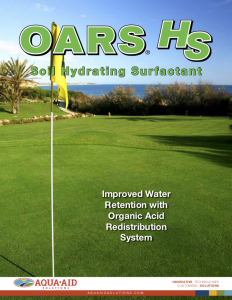 OARS HS controls soil water repellency while providing uniform soil moisture and increased soil moisture retention. 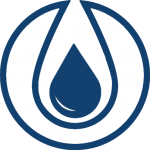 Apply 4 to 5 ounces per 1,000 ft² in 2 gallons of water (13 to 16 L/ha in 800 L) at 30 day intervals or as needed. 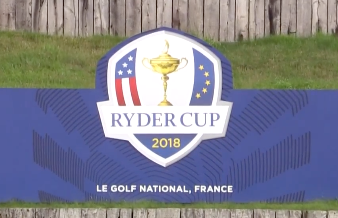 After an initial 5 ounce (16 L) application, drought conditions can be best managed by applying 2 to 2.5 ounces per 1,000 ft² in 2 gallons of water (6 to 8 L/ha in 800 L) at 15 day intervals or as needed..
For extreme drought conditions with high temperatures and/or increased soil water repellency, apply 6 to 8 ounces per 1,000 ft² in 2 gallons of water (20 to 25 L/ha in 800 L) at 30 day intervals or as needed. Irrigate with sufficient water to deliver OARS HS to the soil profile – 1/8 inch (3 mm) or more recommended. 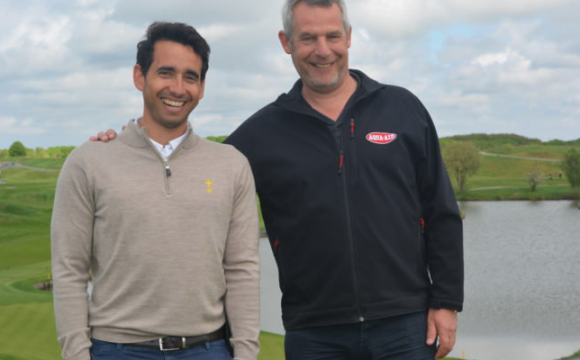 Trials were conducted on pots containing a fairway material consisting of 70% sand and 30% soil. Two applications were made at label recommendations. 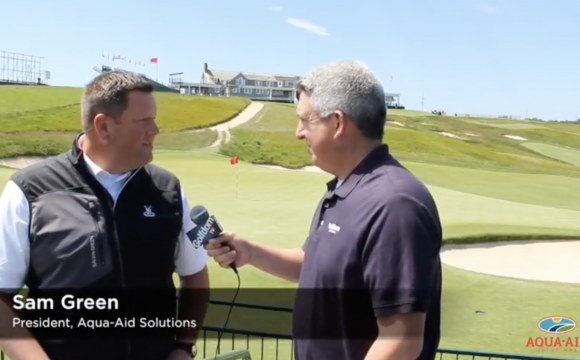 Two applications of OARS HS – Regenerating Multi-Branch Surfactant were made at 5 oz per 1000 square feet. 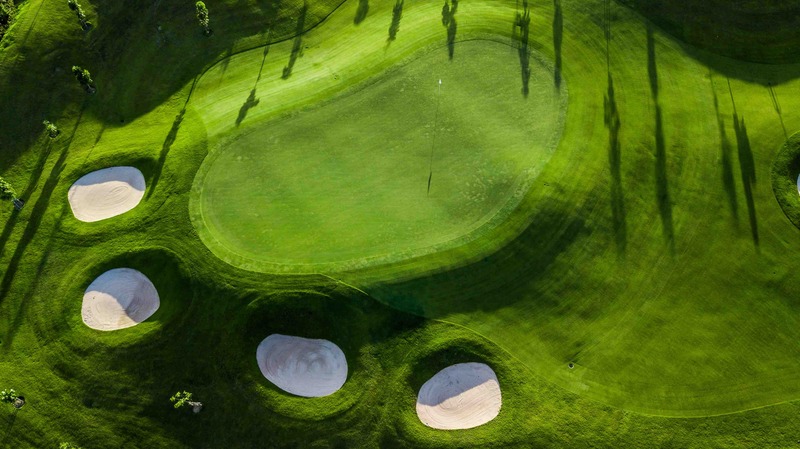 Two applications of an industry leading modified/methyl – caped block copolymer surfactant were made to the same fairway material at 6 oz per 1000 square feet. 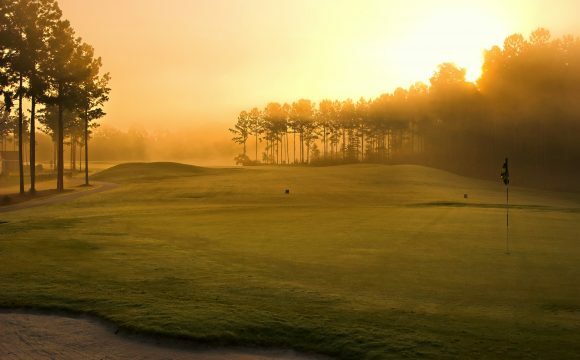 Evaluation of OARS HS regenerating branched surfactant and industry leading modified/ methyl-caped block copolymer turf surfactant on soil moisture management of an L-93 creeping bentgrass fairway grown on a 70/30 construction mix. 22% volumetric water content (VWC) was the target moisture rate. Rewetting of the matrix occurred once 15% VWC was measured. Both measurements were completed using a Spectrum TDR 300 moisture meter. The dry down was initiated on May 19, 2017. OARS HS pots required 48% less water than the control pots maintained at 22% VWC. 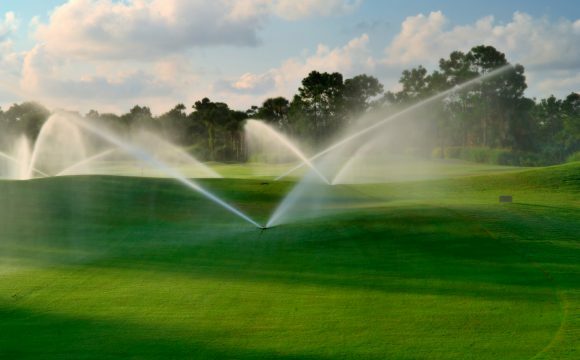 48% less water is equivalent to 1,925,000 gallons of savings for 25 acres of fairways in an 8 week period. 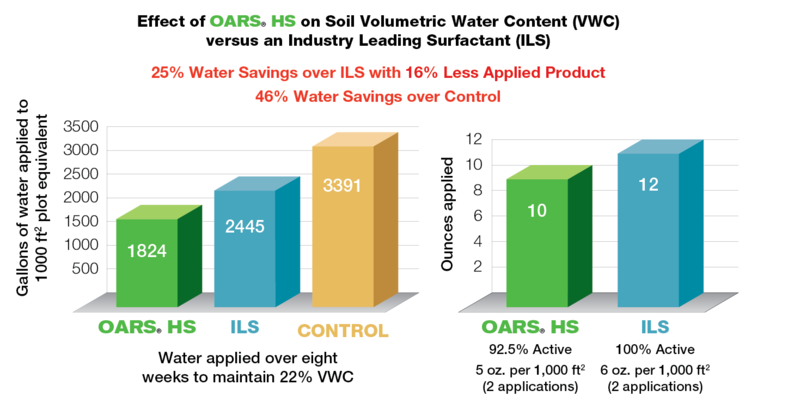 OARS HS outperformed the industry leading surfactant for saving water by 23.4% and required less watering cycles than the control. Looking for more information on OARS HS or want to try? Contact us HERE or reach out to one of our distributors.